Real Madrid is pretty much every footballer's dream destination. According to Luka Modric, you would be going down a step in your career if you left the Bernabeu. Since the inception of football as a sport, Real Madrid has been at the pinnacle of the game. It is the ultimate level when clubs are concerned. The lure of the Los Blancos is too hard to ignore and reject, owing to the fame and money the club offers their players. However, not every player who joins the club has a fairytale to boast of. To some men, it turns out to be a tale to forget. Real have always known to be a ruthless club when it comes to underperformers. Bad form literally means your time at the Bernabeu is up. Also, there is hardly any emotional attachment with the players. Madrid fans are equally cruel like the ideology of their club and hence the Los Blancos being booed by their own supporters is a common sight. While some have been potent enough to handle the expectations of the club, some have fallen short due to the pressure. In this slideshow, we take a look at the players whose careers were adversely affecte by the Los Merengues. Asier Illaramendi failed to reach his peak at the Bernabeu. 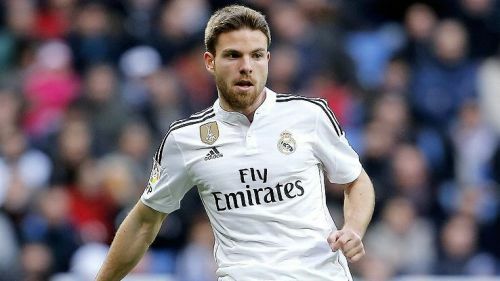 The most expensive Spaniard that Real Madrid has ever bought, Asier Illaramendi’s time at the Bernabeu was rather forgettable. Having become a mainstay in Real Sociedad’s midfield at the age of 20 and a member of Spain’s U-21 Euro 2013 winning squad, in the summer of 2013, he joined Real Madrid. But, rare starts were the reason why one of the best prospects in Spanish football became a forgotten man. He rejoined Sociedad in 2015, with Real making roughly a $25 million loss on the midfielder. Unlike many others, Illaramendi got 90 games to prove his ability to the club. But, he was never able to reach the level he did at Real Sociedad, making the move extremely worthless.